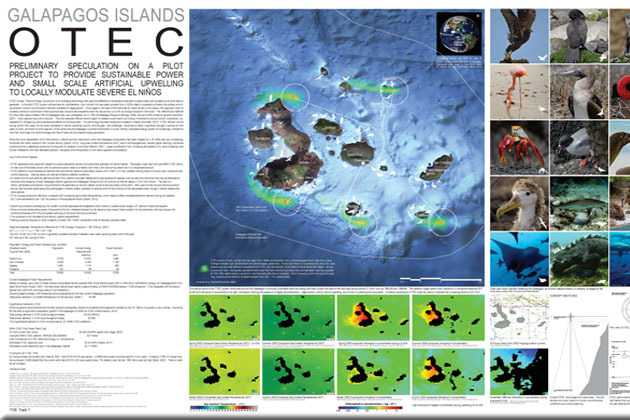 Galapagos Islands OTEC Pilot Program. OTEC (Ocean Thermal Energy Conversion) is an emerging technology that uses the difference in temperature between surface waters and at depth to drive an electric generator. Cold, nutrient-rich sea water pumped from 1000m depth enriches nutrient concentrations available for algae growth. For more information about this entry, contact the author. email: maxgwolf@gmail.com.